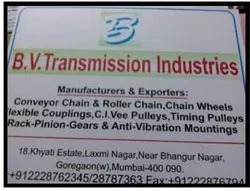 Incepted in the year 1963, B. V. Transmission Industries, is located in Mumbai (India) and is engaged in Manufacturing, Wholesaling, Supplying and Exporting of an extensive array of Industrial Components that includes Stainless Steel Slate Chains, Universal Joints Couplings, Pulleys, Chain Sprockets, Chains, Mechanical Gears and other components finding usage in engineering based industries. Developed using optimum quality raw material, our range is in compliance with the international quality standards. Our business operations are led by Mr. R V Shah, who has with him valuable industry experience. He handles a team of experts who are working in tandem with each other to fulfill customer’s specific requirements. Meticulous and industrious efforts of our personnel have also enabled us to supply to various government concerns, major sugar factories and other reputed public & private limited concerns all over India. Our cutting edge technology assists us in offering impeccable range at par with changing market trends and specifications as demanded by the clients. 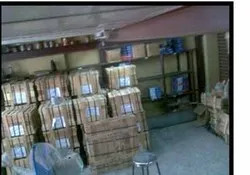 Wide distribution network further enable us to deliver bulk consignment within the stipulated time frame. Today, our consistent performance standards have helped us to make many quality conscious clients not only in India but also in overseas countries like UK, Dubai, Oman, Gulf, Argentina, Sri Lanka, European countries and others. Manufacturing and Trading of Industrial Components.